Wigan Athletic manager Gary Caldwell has named defender Craig Morgan as captain heading into the new season. 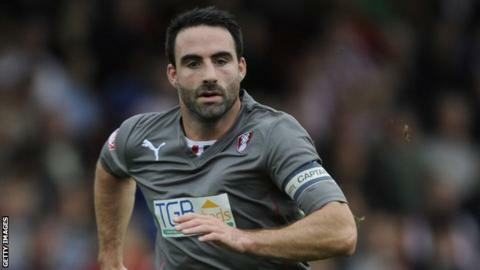 The 30-year-old joined Latics this summer after his contract at Rotherham United expired. Caldwell told the club website: "Craig has captained promotion-winning sides before so he knows what is required to be successful at this level. "I feel Craig's experience gave him the edge and I'm sure our supporters will warm to him quickly." Jason Pearce has also been named as vice-captain before the season opener at Coventry on Saturday.